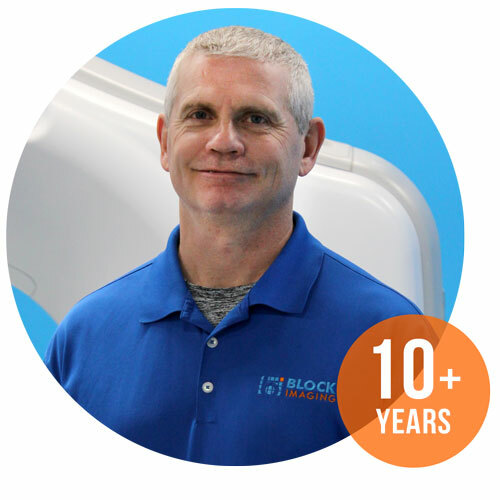 My name is Shawn Trafford and I have been an Engineer here at Block Imaging since the beginning of 2007. I have primarily worked in the women’s health area and have recently been training and expanding my knowledge base learning GE CT. I was a journeymen electrician before coming to work here and I can honestly say, there has not been a day that has past, which I have regretted the decision to make the career change. As the first on-staff Engineer at Block, I am so amazed at how far this company has come in such a short time and I am blessed to be a part of it. I enjoy traveling to new places and working through some of the challenging situations you customers have for us! I have been married since 1995 to my beautiful and amazing wife Melissa (who supports and puts up with me like no one else could) and together we have 4 great kids (2 girls and 2 boys). I love going and watching my kids compete in all types of sporting events (soccer, basketball, baseball, volleyball, softball and cross country). I am very competitive and I enjoy playing lunch time basketball with friends and co-workers when I’m not traveling. I look forward to help make your experience with Block Imaging a positive one!